It’s about you, me and all the people who’ve gone before us. It’s about identities and a sense of belonging. It’s about getting muddy – or staying laboratory clean – and having fun. It’s about discovering and telling Scotland’s stories. Dig It! 2017 is a celebration of Scottish archaeology, co-ordinated by the Society of Antiquaries of Scotland and Archaeology Scotland for the Year of History, Heritage and Archaeology 2017. With a packed programme of events, from people exploring the story of their own local area, to digs, festivals, and Minecraft, there are so many ways to get involved. We are exploring our past through song, art, performance and story-telling. It is exciting, fun, grassroots and messy – just like archaeology and archaeologists. Dig It! is co-ordinated by two charities – the Society of Antiquaries of Scotland and Archaeology Scotland. The Society promotes enjoyment of study and research into the past and Archaeology Scotland focuses on education, promotion and support of our archaeological heritage. We are supported by a range of partners, including local authorities, societies, universities, national agencies, societies, museums, and commercial companies. 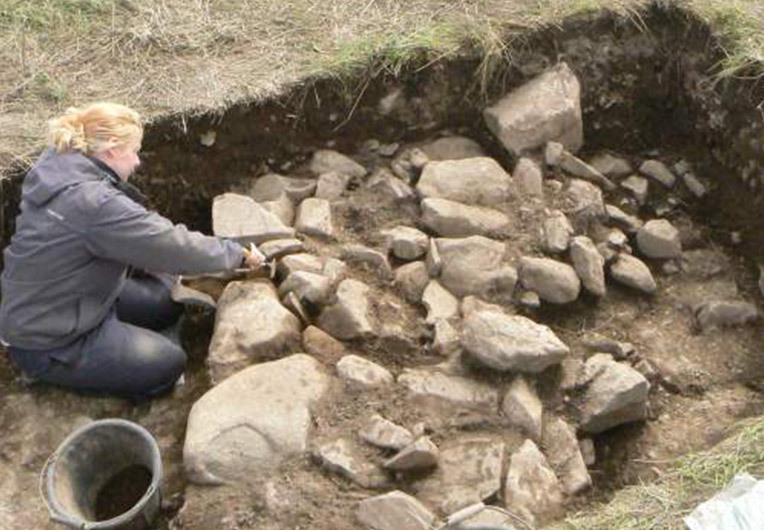 Historic Environment Scotland (HES) have provided funding support and the idea for Dig It! originally came from Glasgow Life and the Hunterian Museum.